Do you every wonder why your conversion rate is significantly lower on some browsers and devices? This is because web pages can look very different in each browser they are viewed in because a browser understands some code slightly different than other browsers. This can often be the cause of your conversion rate being significantly lower for some of your supported browsers or devices. 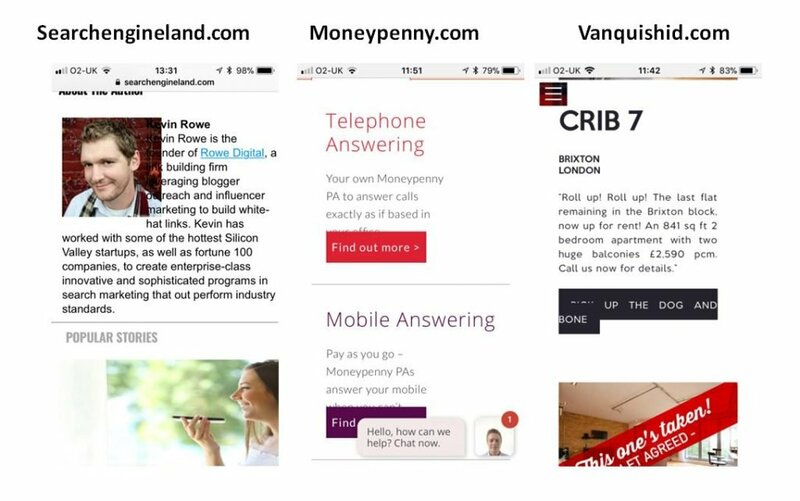 This is why cross browser testing tools are essential for conversion rate optimisation. With over 1,000 combinations of browsers, operating systems and plugins it is practically impossible to check every single page to ensure it renders correctly for all users. Even if you only focus on checking the most common browsers, OS, device and plug-ins it is still a very time consuming and complex process. When you view sites on different browsers and devices it is not uncommon to discover some of the problems shown below where text and pictures overlap or assets don’t render correctly. This is because it is very time consuming to test every little change you make on your site on all browsers and devices. For most organisations it is likely to be more efficient and better use of scare resource to get a company that specialises in cross browser and device testing. They can quickly check and come back to you with screen shots from multiple browsers, operating systems, devices etc. You can then concentrate on the analysis and fixing problems identified by the cross browser testing tool. 2. BrowseEmAll: Live testing, automated screenshots and compatibility reporting all from your own PC. BrowserEmAll operates from your local machine to find cross-browser problems, optimize for mobile devices using simulators for iOS and Android, test local pages and allows you to run different browsers side-by-side. BrowserEmAll is great for testing websites protected by firewalls because it is on your own machine and you can run up to four different browsers side-by-side and instantly see how a change affects the page rendering in your selected browsers. Free trial licence key available on request. 4. BrowserShots: Is a Free (though there is a charge for priority processing) open-source online web application that takes screenshots of your web pages in different operating systems and browsers. It uses a number of distributed computers to open your website in their browser. It will then take screenshots and upload them to a central dedicated server for you to view. 5. BrowserStack: Provides easy access to all desktop and mobile browsers using live, web-based testing. You can test internal servers or local HTML designs, via remote browsers through a secure local testing setup. Free trial offer gives access to over 700 desktop and mobile browsers. 8. IE NetRenderer: A Free service that allows you to check how webpages render in Internet Explorer 11, 10, 9, 8, 7, 6 or 5.5, as seen from a high speed data centre located in Germany. Type in your URL into the field and it comes back with your page almost immediately. 9. Litmus: Provides cross browser testing as an additional feature to its email preview service. The latter shows previews across more than 30 email clients and devices, with images of how your message looks in the preview pane, and with images on and off. For cross-browser testing simply enter the URL and Litmus will show you how it looks in most popular browsers. Further, Litmus offers link validation by providing a screenshot of each web page that a link in an email takes a recipient to and it certifies that the URLs you are linking to are not blacklisted. It also confirms that you click-throughs are being tracked correctly. Offers unlimited and enterprise plans that allow you to use only the features you need, add as many users as you need, organise your account and re-sell Litmus without an integration. 7 day Free trial available. 10. SauceLabs: An automated cross browser testing tool for desktop and mobile. Covers over 450 browser and platform configurations. Enables access to live breakpoints during testing which allows you to investigate problems manually during the process. Free 14-day trial available for all sizes of organisation. 11. Spoon: This is a cross browser testing sandbox which currently covers Chrome, Firefox, IE, Opera, Safari, Firefox mobile, Opera mobile and Opera mini. Spoon offers manual and automated browser testing. 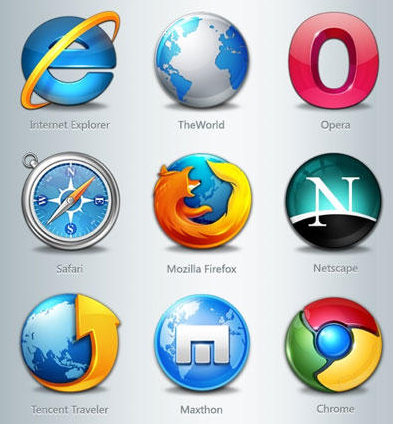 The browsers run within isolated virtual containers, eliminating the need for installs and allowing legacy browsers such as Internet Explorer 6 to run on Windows 7 and 8. Just click Run for any browser to launch it instantly. Browser Studio is Spoon’s three-step tool for creating custom browser containers. Choose your browser, and version, pick the run times and plugins you need and Spoon will create your custom test environment in minutes. This for instance allows you to test a web application with a Java dependency or see if Flash breaks your website. 12. TestingBot: Provides either automated or manual cross-browser testing with Selenium in the cloud. You can operate tests in 198 browser/OS combinations and every test runs on a virtual machine. Manual testing allows you to control browsers interactively from your own machine or you can run automated tests by choosing which browsers to test. You decide when automated tests should run and over what time frame. Advanced reporting for each test includes multiple screenshots, video of your test and detailed statistics about the test. Their secure testing environment allows you to run tests on your local computer, on a LAN, or on a server via VPN. Offers a two week Free trial. Cross-browser and device testing tools are essential for any site which is serious about conversion rate optimisation. They allow you to be confident that you are delivering your desired user experience on all key browsers and device. These tools are the most efficient and effective means of conducting cross browser and device testing. However, these solutions should quickly pay for themselves with a higher conversion rate and so they are a win-win solution. All the subscription services offer some kind of free trial and so you have nothing to lose by giving one or more a try out.